The Flanders-China Chamber of Commerce is organizing the seminar: ‘New Opportunities and Challenges in China’s Food and Drug Regulatory System’, which will take place on 6 May and starts at 15:30 at Covington and Burling, Avenue des Arts 44, 1040 Brussels. 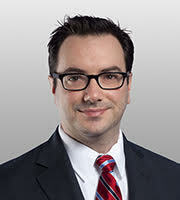 Mr. John Balzano is a partner in the food and drug group of Convington and Burling, LLP, who focuses entirely on China regulatory and policy issues in the food, drug, medical device, cosmetic, and animal product spaces and has over ten years of experience. He will discuss recent changes to China’s regulations governing these types of products, including those related to pre-market development and approvals and enforcement trends, and the effects of those changes on companies based in the European Union and elsewhere outside of China.